Oh my. Extraordinary. Film of the year? It left me breathless, with the audience bursting into spontaneous applause at the end (and this was an ‘ordinary’ screening not a premiere). 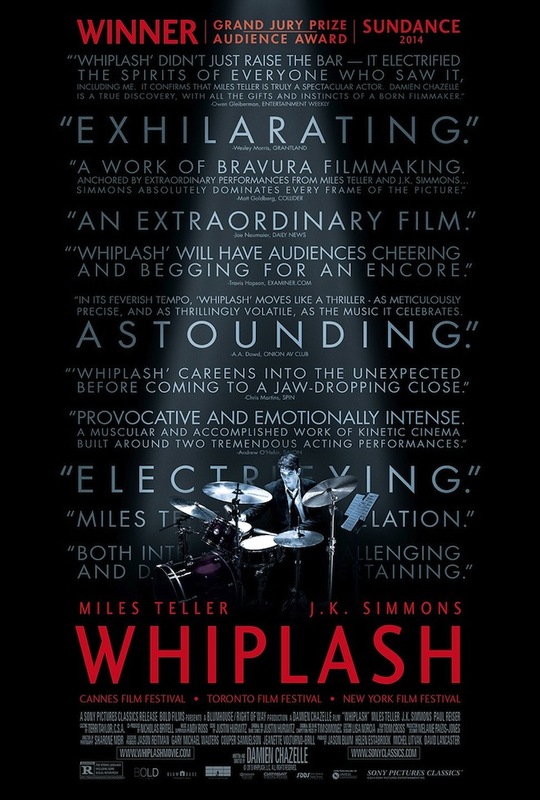 Whiplash is, quite simply, stunning. The script is razor sharp (and at times blackly funny), the music pitch-perfect (except when it’s not supposed to be) and both J.K Simmons and Miles Teller giving career-defining performances. The film received four Independent Spirit Award nominations, including best film, best director and best supporting actor (J K Simmons). Disappointingly, it missed out on best script. But the film has a whole swag of awards already under its belt, including the Grand Jury Prize and Audience Award at Sundance earlier this year.